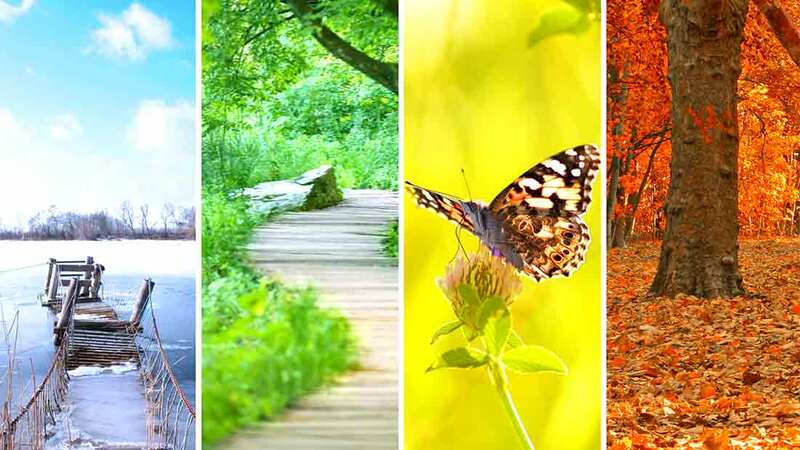 Ever wondered why the seasons have the names they do? Well, in the case of Spring, it wasn’t always the happy sounding word it is today, in fact, many centuries ago it was known as Lent. However, in the 14th century, this time of the year became known as “springing time” thanks to all the plants, bulbs and grass enjoying a period of unrestrained growth. A couple of hundred years later, in the 16th century, the name was shortened from “spring time” to just “spring”. Likewise, Summer comes from the Old English name “sumor”, which was how people of that period described our hottest season; tracing the word back even further, the experts reckon that’s derived from “sam”, an ancient word meaning “together” or “one”. While we call it Autumn, other call it Fall. Autumn comes from the Latin word “autumnus” and the French word “autompne”. However, no one’s really sure how it became the word we know today, so it seems that tidbit of history has been lost. And while the origin of the word “fall” isn’t very clear either, it’s widely assumed by those in the know to be a description of the time of year when leaves fall from trees…and although our American friends use the term widely, it actually comes from the English saying “fall of the leaf”. As for Winter, well it has Germanic roots. The word “wentruz”, possibly combined with the European “wed” meaning “wet” or “wind” meaning “white”. All good descriptions of European winters! So there you have it, a little history lesson for today and an interesting look at how our seasons came about. Happy Springing Time! Is Your Heater Ready for Winter?